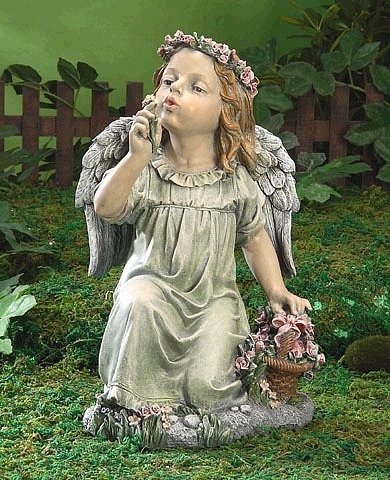 Created with an enchanting appeal, our sweet little angel girl enjoys the comforts of nature as she holds a basket of flowers and blows one of the petals away. Resin. Hand finished with attention to detail.